There are some paint jobs that whip by in just a few days. 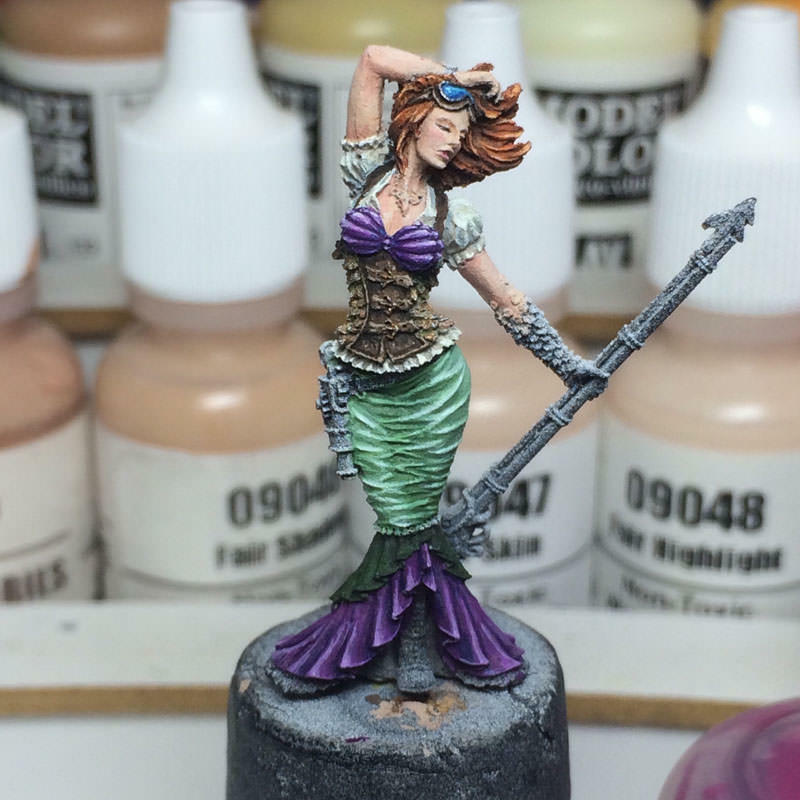 And then, there are some like my Steampunk Ariel by Guild of Harmony (more pics in the gallery) that can take months! 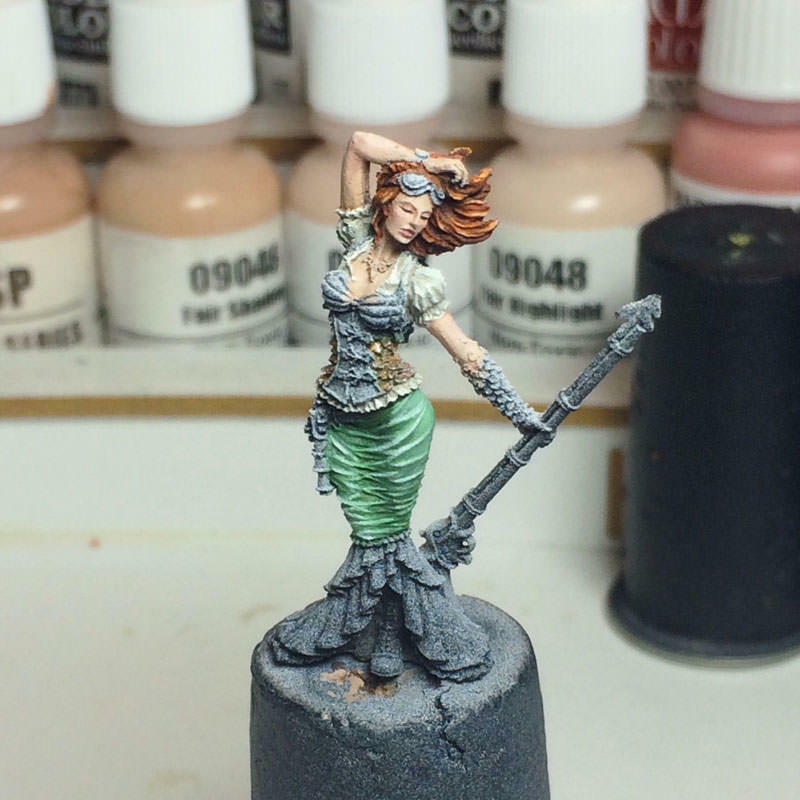 In Ariel's case, it wasn't so much the painting that took me so long, but the creation of her base. 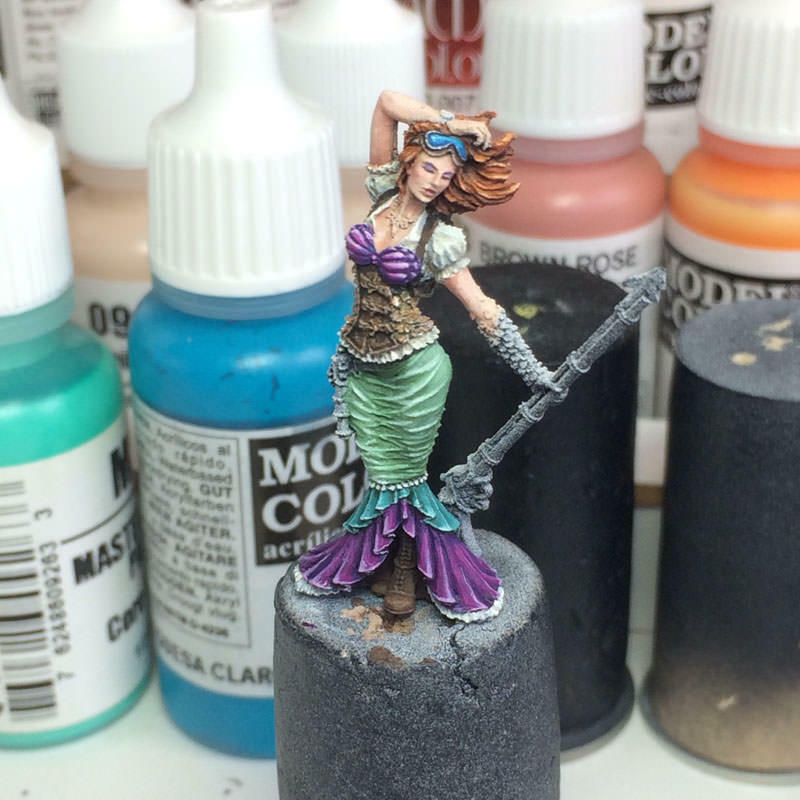 As Ariel stands looking wistful while clutching her requisite steampunk speargun (just try not to think too hard about who she's going to be aiming it at... the newt who plays the flute? The carp who plays the harp? The plaice who plays bass?) and I immediately pictured her standing on a dock looking out to sea. 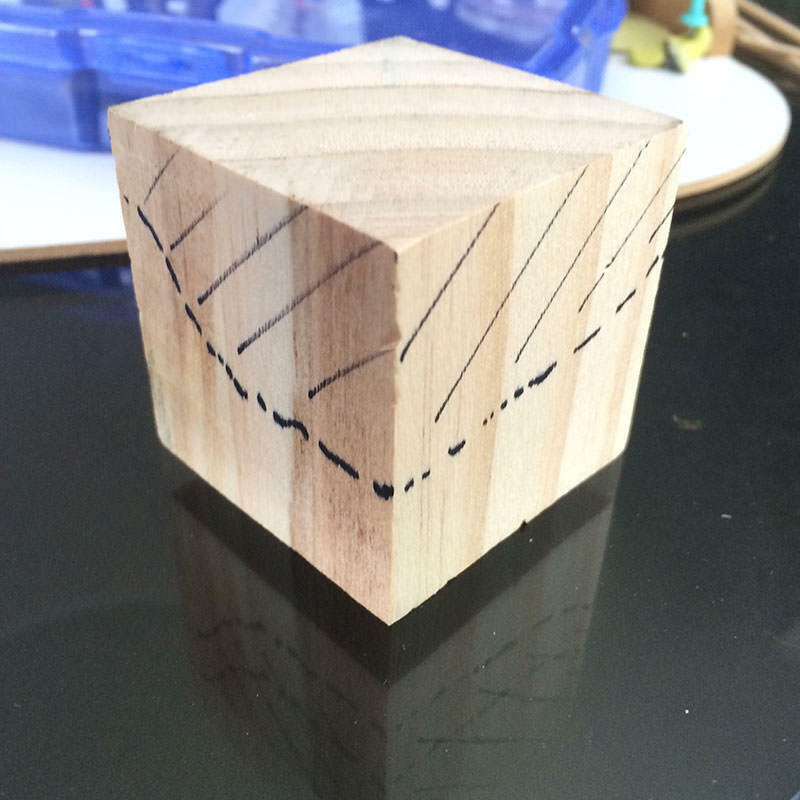 With that initial inspiration, I did a quick sketch and then proceeded to start massacring a wooden cube. 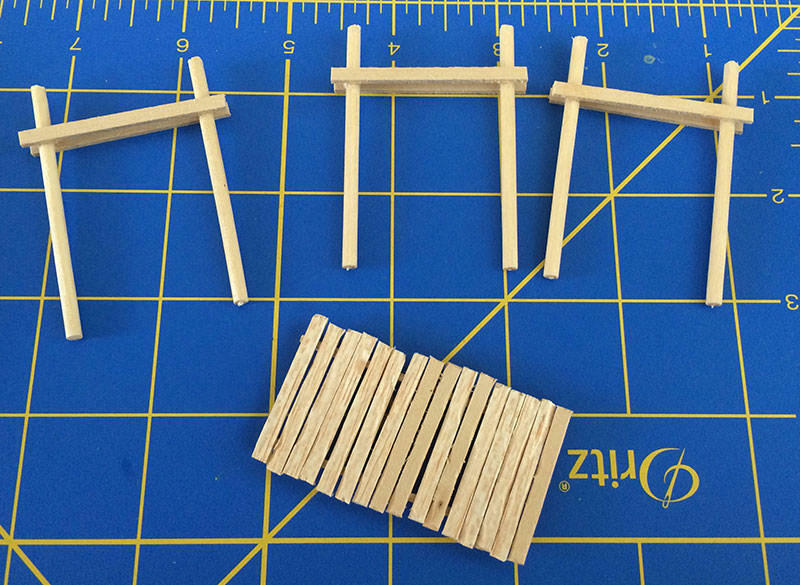 I then put together a simple dock out of bits of wood. 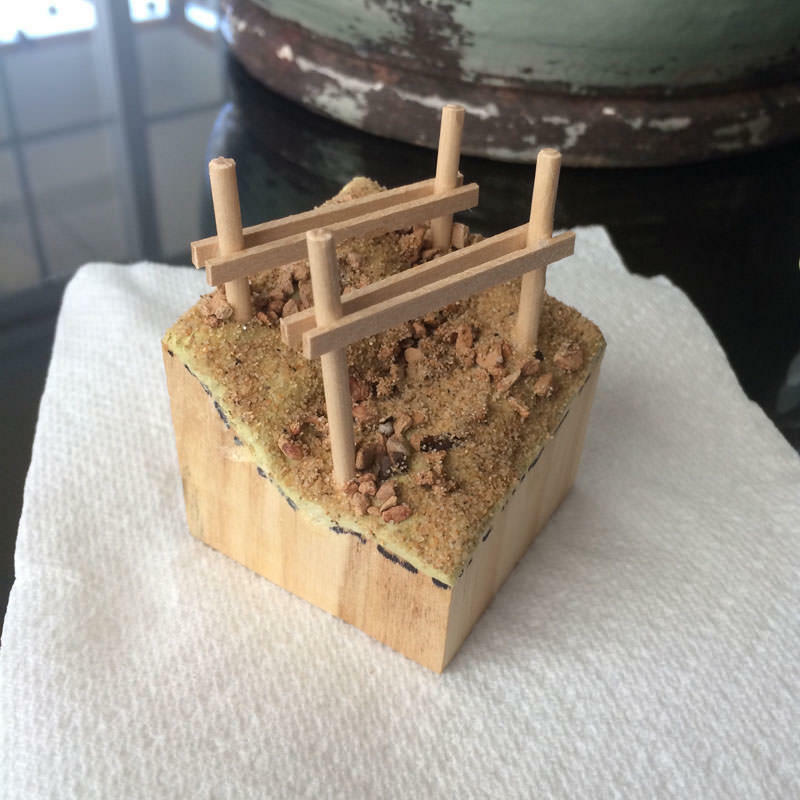 After covering the carved-out cube with milliput, I drilled holes for the pilings and set them in place. 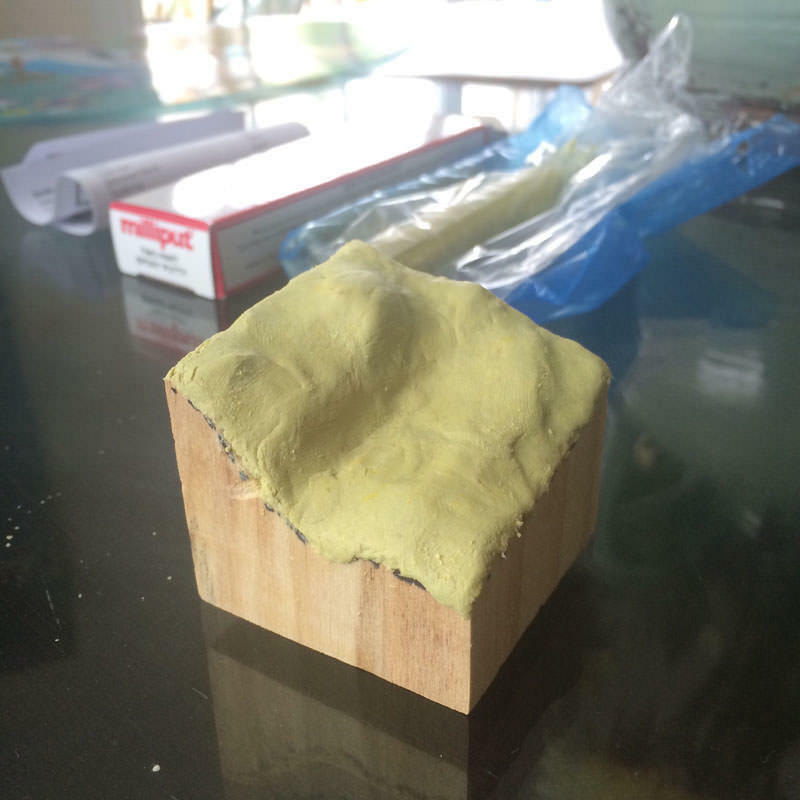 The next step was to glue on some sand and rocks to finish the sea bed. 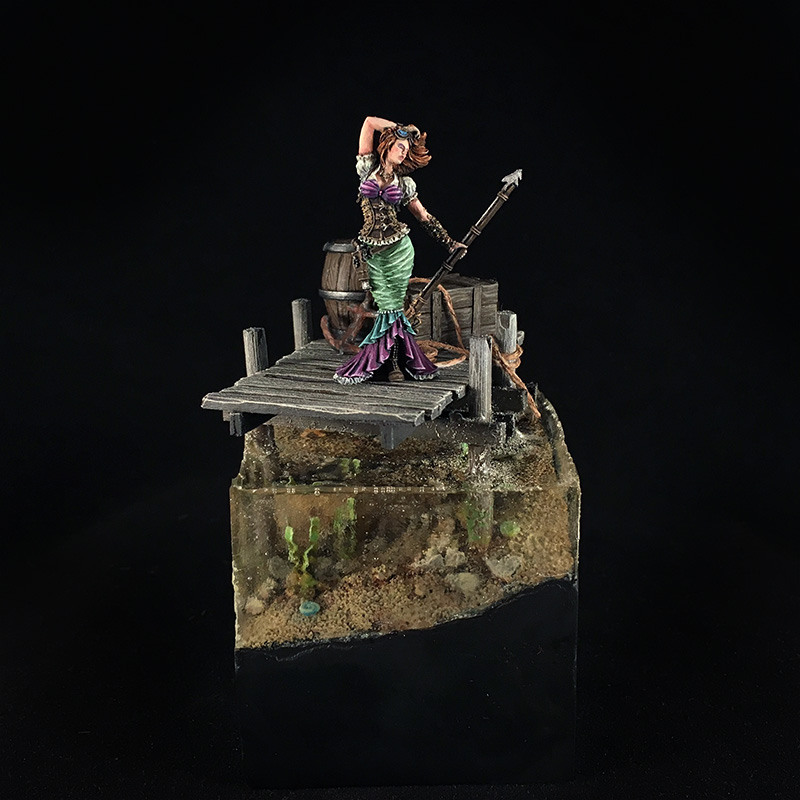 I didn't get any pictures of the next few steps, but I sculpted a few little shells and a starfish out of green stuff to populate the scene. 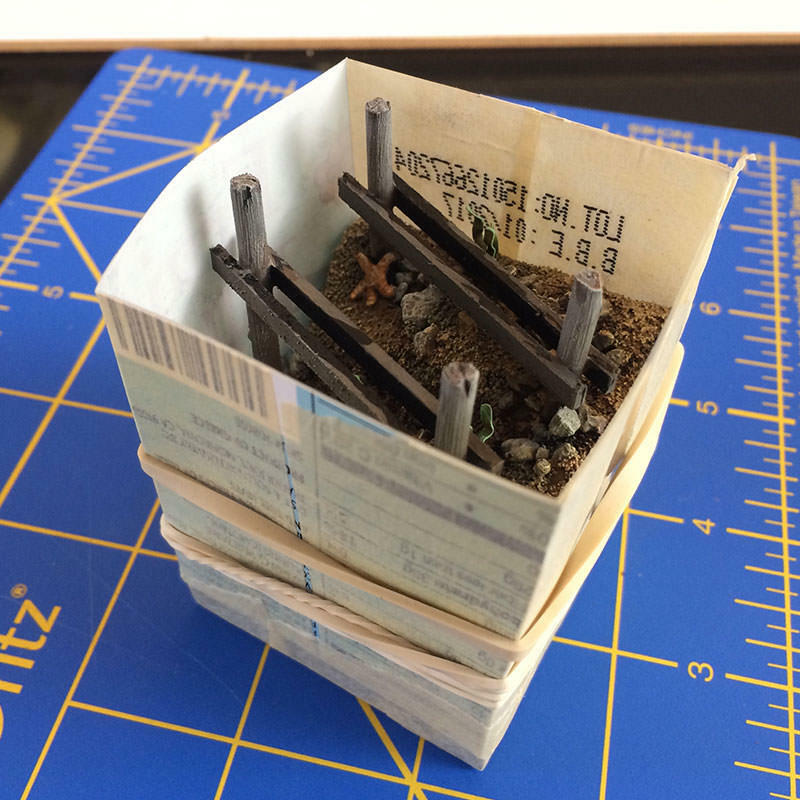 I also put together some wavy seaweed using little bits of metal I clipped off of some document fasteners. 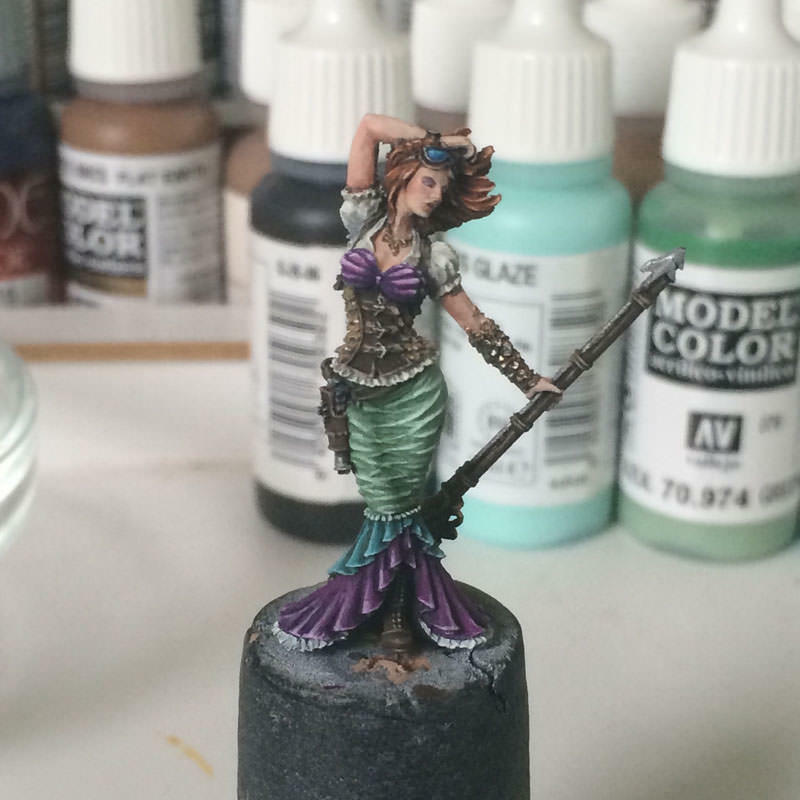 I painted all this up in preparation of adding the resin water. Before pouring the resin, I whipped up some plastic walls out of bits of some plastic stolen from a food package (Trader Joe's Meringues if you really want to get specific... and a sugar rush) and tried to seal off the edges as best I could with poster tack (more on this in a minute). Some rubber bands for tension and then it was time to pour in the Liquitex. Pouring actually went pretty smoothly. I let it sit for a day and it felt a bit squishy, so I let it sit another day. After another day it was still a bit squishy, so one more day seemed like a good idea. Day 3: still squishy. Ok, so let's just give it a week, huh? One full week and... you guessed it, still a bit squishy. Now, when I say squishy, I don't mean majorly so, but I was expecting it to get rock hard like Milliput. After the week, I was fairly confident it was all dry and that this was as hard as it was going to get, so I pulled off the plastic outside. My guess was correct and it was completely dry. Fortunately, the smooth plastic walls made for a pretty darn smooth side - I was very pleased with the result! Now from my reading, I was expecting to have to now do multiple passes of sanding to get a smooth glossy finish to the water. However, I'd begun to suspect that the 2-part Liquitex I used may not quite be the same as some other water effects which (I assume) dry rock hard. I was afraid that sanding the rubbery texture would ruin things, so decided to leave well enough alone. As I said, I was happy with the result, so no need to court disaster. For the sides of the base, however, my attempts to seal the edges with poster tack weren't exactly perfect. It did keep the liquitex from spilling everywhere... but perhaps if you're building a submarine, you might want to hire someone else to seal it up all airtight? 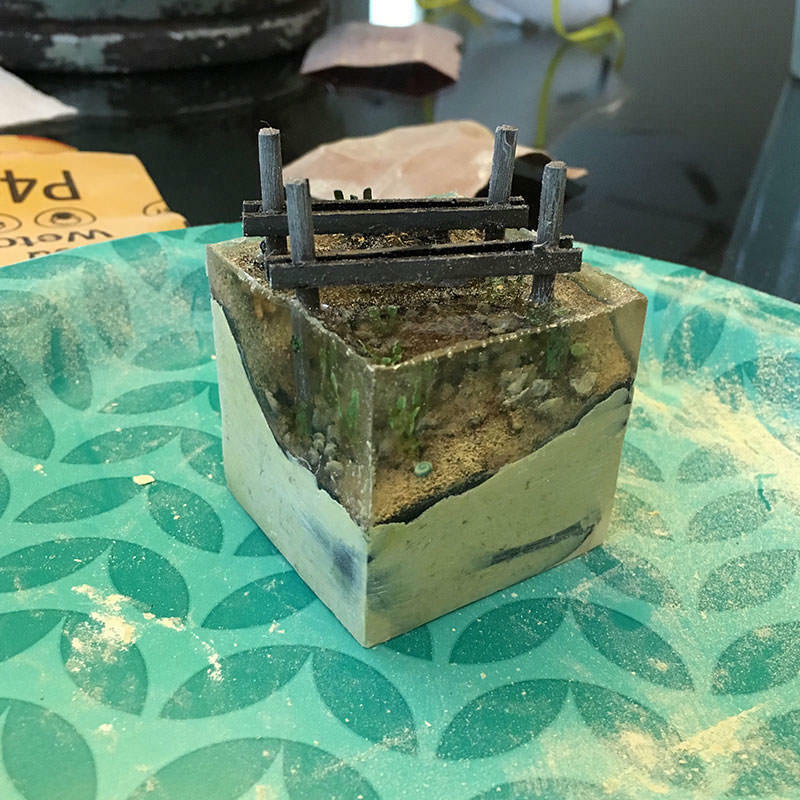 As a result the sides of the base were a raggedy, resin-y mess. 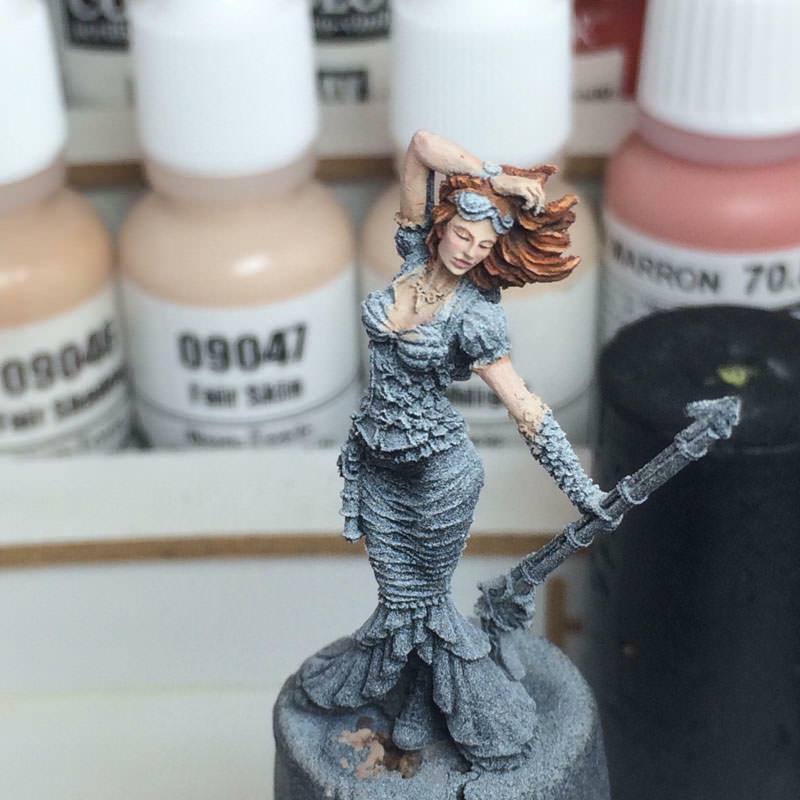 My first approach was to try gluing some more plastic as a cover-up over the mess. This wound up looking terrible once the glue dried so I fell back on my trusty Milliput and used that to fill in everything and create a nice smooth surface. wound up needing my multiple passes with the sandpaper after all... just not on the water as originally expected. 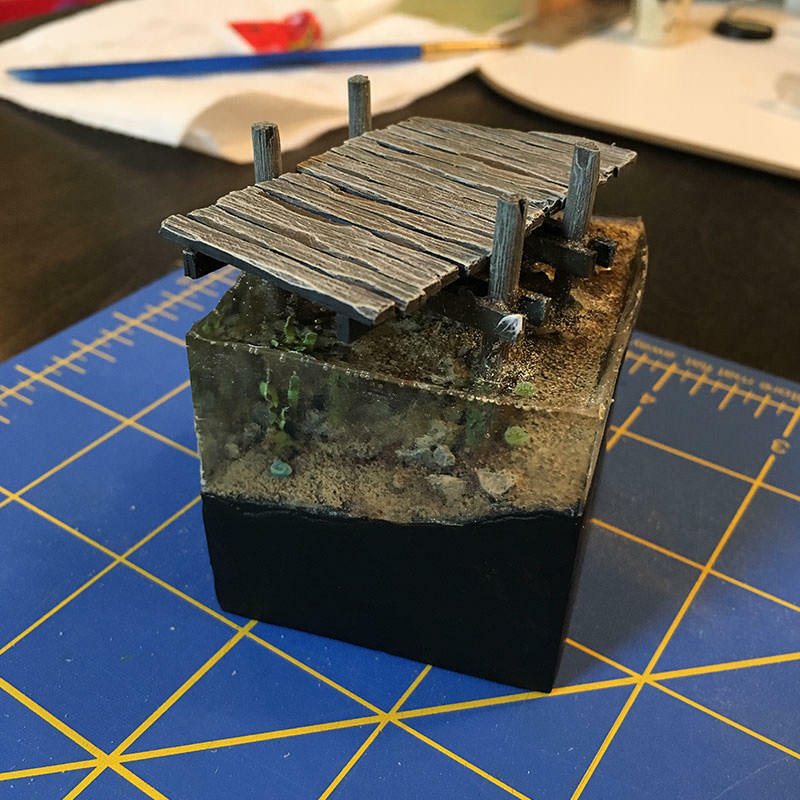 Once this was dry, I painted the sides black, added the top of the dock, sat back and had a beer (I don't remember if this is precisely true, but there's a high degree of likelihood that multiple beers were consumed during this whole process, so I hope you'll forgive the artistic license). I should take a minute to discuss painting wood as the dock is made exclusively of the stuff. I don't so much mean painting on wood but rather painting something to look like wood. The dock is wood painted to look like wood as is the crate. The barrel is milliput and greenstuff painted to look like wood. Painting wood grain is a rather time consuming process... but one I've perversely grown to love. 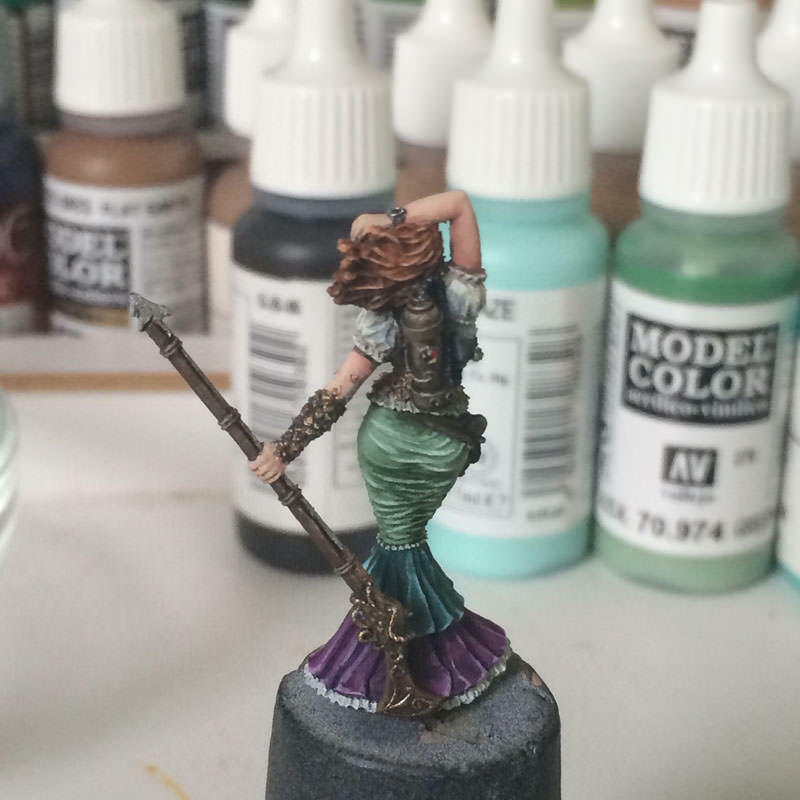 It's like painting nice detailed freehands, but with almost zero accountability if you slip or get a line wrong. I could (and probably did) spend hours painting little brown and grey wood grain lines all over the dock crate and barrels. Better than meditation!